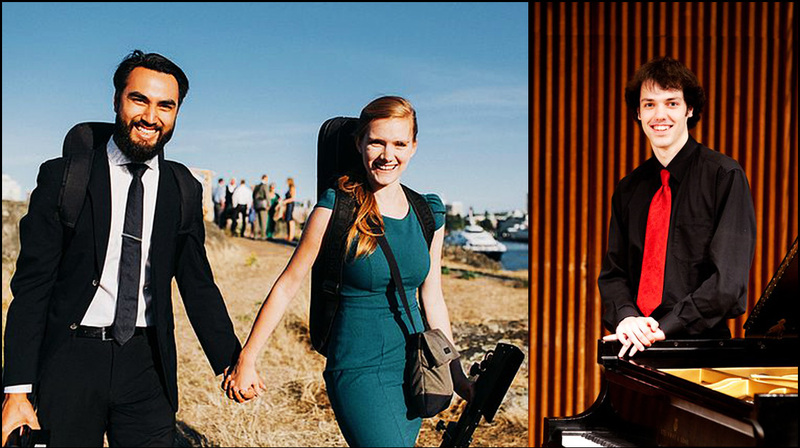 Sombrio Duo and Derek Stanyer | Oak Bay Music: Chamber Music Concerts Victoria B.C. Victoria based Sombrio Duo presents a fascinating program spanning four centuries of violin music. Violinists Kathryn Wiebe and Tyson Doknjas together with guest pianist Derek Stanyer bring to life rarely heard concert music by Jean-Marie Leclair, Eugène Ysaÿe, Olivier Messaien and Arvo Pärt in the intimate setting of St. Mary’s Chapel. Music by Jean-Marie Leclair, José Herrando, Moritz Moszkowski, Eugène Ysaÿe, Reinhold Glière, Olivier Messaien and Arvo Pärt.